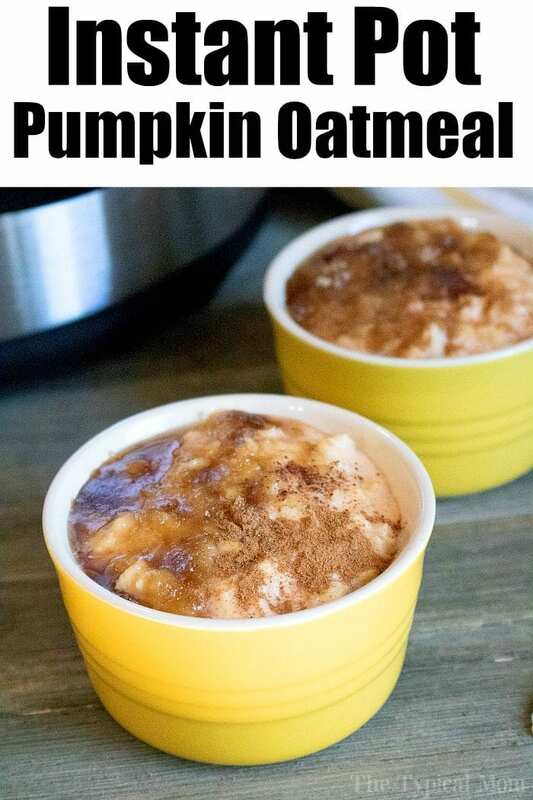 These 2 Instant Pot oatmeal recipes only take 5 minutes to cook and taste amazing! An easy pressure cooker breakfast that the whole family will enjoy and is a healthy meal too. Try apple cinnamon oatmeal or pumpkin oatmeal this morning and let us know what you think! We love oatmeal in the morning, especially on the weekends. Yes my kids even give an “MMmmmmmm” when they see that’s what we are having! 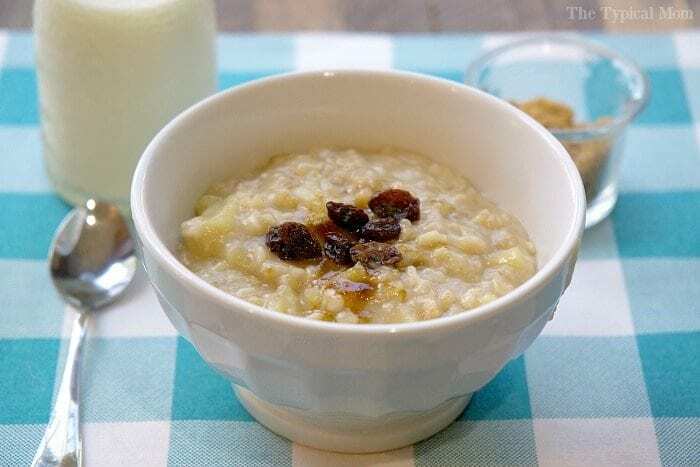 With all the goodies you can add in oatmeal can be quite flavorful as well as a healthy breakfast option. 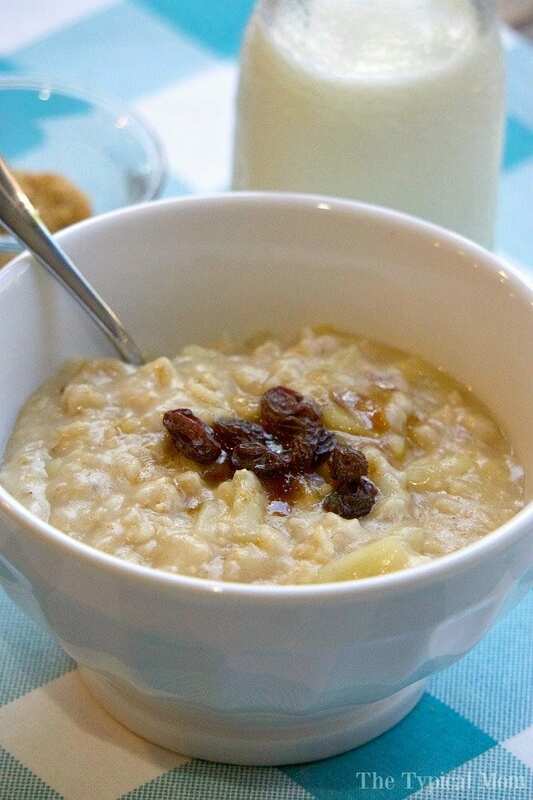 This Instant Pot oatmeal recipe is great because we added cinnamon and chunks of fresh apple to give it some added sweetness (I added some raisins to the top too instead of cooking them within because Daddy doesn’t care for them). It just takes 5 minutes in your Instant Pot, this is the pressure cooker I have. Here’s a video showing you how to make Instant Pot oatmeal right in the pot, there are pot in pot directions below recipe card too. 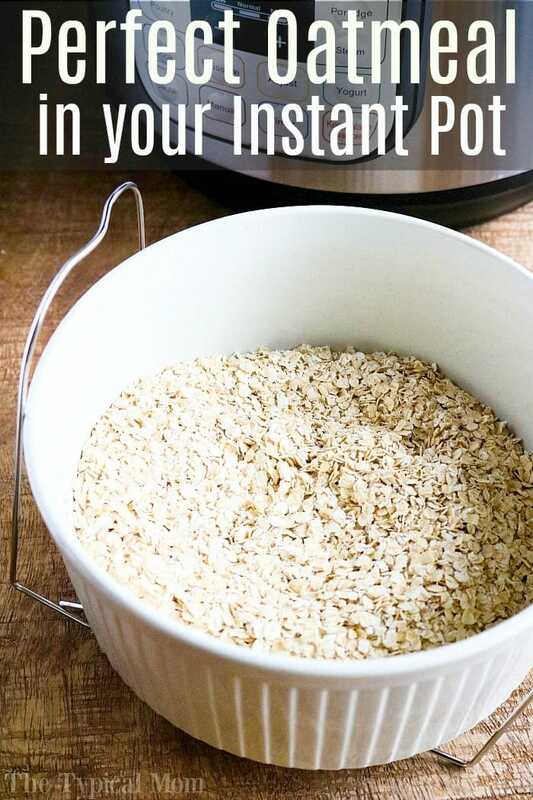 If you’d like to make Instant Pot oatmeal using a pot in pot method this is how you do it. Do a quick release and serve. If you have a Crock Pot Express or other brand of pressure cooker the directions should work the same, just needs high pressure for 5 minutes. Looking for other pressure cooker breakfast ideas? Here’s the printable recipe to make Instant Pot oatmeal. Add butter and allow to melt. Turn Instant Pot off...important step to avoid "burn" message from showing up. Put lid on and close steam valve, set to manual high pressure for 5 minutes, do a quick release, open and serve. Easy and delicious! I’ll be making this for my family on a regular basis! I’ve tried this recipe twice and both times I get a burn message before it’s even done pre-heating. What am I doing wrong? How long can’t leftovers be stored in the refrigerator? Can it be frozen? 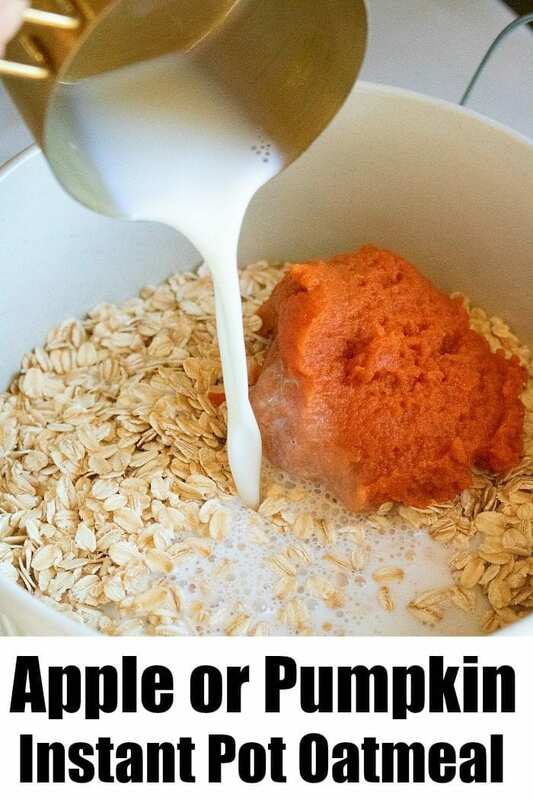 We love this recipe, it’s our go to oatmeal breakfast. If we double the recipe do we need to extend the time or can we just natural release? I probably wouldn’t increase the time, just check it. I’m so glad you love it!! I followed the recipe exactly, including settings (8 qt. instant pot) and the “burn” showed up so I carefully picked up the instant pot tilted it around slightly and burn eventually went off. Continued to cook but it did stick a lot. I make this recipe using the pot in pot cooking method. No sticking. I followed the recipe exactly and it came out perfect! Great breakfast for a cold New England morning. Love it, has been our go to recipe since we got the IP this past spring. 1 question, how do you stop the oats from sticking to the bottom of the pot? My oatmeal left a layer of burned/stuck-on oatmeal at the bottom. Any idea what I did wrong? I made this oatmeal and it is delicious! I would like to double the recipe…are there any restrictions to how much liquid? How long to cook it? Just don’t put more than about half the pot full of liquid. If doubling I may increase by a minute or two but not a lot more. Can we use male syrup instead of brown sugar? Same amount?